Cambridge is a famous university city and the county town of Cambridgeshire, UK, on the River Cam about 50 mi. (80 km) north of London. 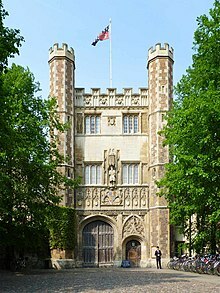 Below is a partial list of quotes about the famous University of Cambridge by former students, fellows, poets, scientists, and politicians who were affiliated with Cambridge. Quotes may be included from both members and non-members of the university. You will feel interested to know the fate of my mathematical speculations in Cambridge. One of the papers is already printed in the Mathematical Journal. Another, which I sent a short time ago, has been very favourably received, and will shortly be printed together with one I had previously sent. I did have a certain frustration about how the world was. I still don't like authority exercised without reason. But they laugh at you at Cambridge if you say that sort of thing. For them, the law is a system of rules not that different from mathematics. It's not your business to say what's right and wrong - you just apply the rules on one side or the other. It doesn't matter which. 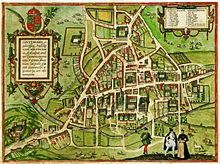 The first thoughts, which gave rise to his Principia, Isaac Newton had, when he retired from Cambridge in 1666 on account of the plague. As he sat alone in a garden, he fell into a speculation on the power of gravity; that as this power is not found sensibly diminished at the remotest distance from the centre of the earth to which we can rise, neither at the tops of the loftiest buildings, nor even on the summits of the highest mountains, it appeared to him reasonable to conclude that this power must extend much further than was usually thought: why not as high as the moon? said he to himself. Henry Pemberton. View of Newton's Philosophy, (1728), preface. And we meet with so few who bring any away. Cambridge was a joy. Tediously. People reading books in a posh place. It was my fantasy. I loved it. I miss it still. This page was last edited on 21 June 2017, at 03:48.